If they continue what they are doing, this week old bar Hoppipola in Khar will only see an upward trajectory in their business! A brand by the Specialty restaurants (of Mainland China fame), it is located in the premises of the Ramee hotel, the entry to the place is in the lane behind S V road.The place is huge and cheerful with both indoor and outdoor seating. It’s a mélange of a pub and a café, with board games, a video game console and books to meet, play and bond with friends or just laze around by yourself. The high ceiling adds to the much-needed space that Mumbai wants! I ordered a Bellini (Rs 195) to begin with, essentially peach puree topped with a dry sparkling, but the Hoppipola style was peach syrup topped with Sula seco ( a semi sweet sparkling) making the tipple too sweet for my taste!!! 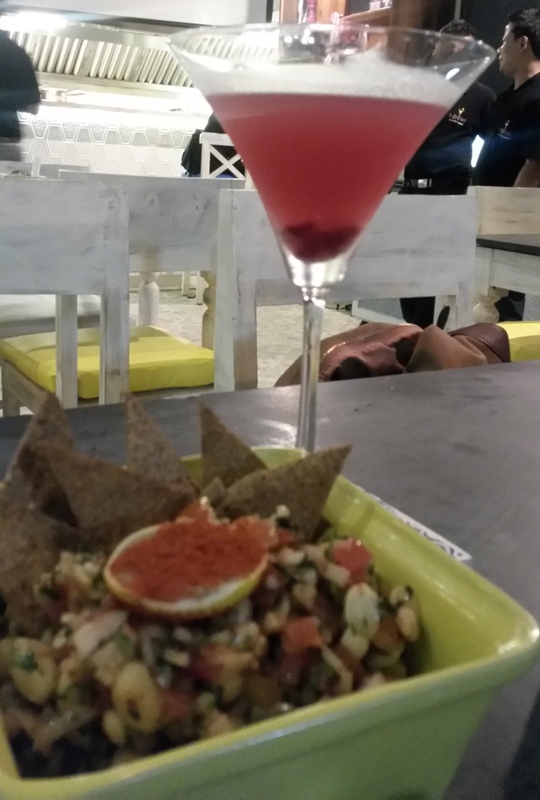 The spiced pomegranate martini with vodka (Rs 195) was done very well with cinnamon adding in the sweet spice. If you have noticed the pricing, it must be the cheapest in the city for a bar of this standard, they use Smirnoff and Bacardi for vodka and rum based drinks which is great! For the whisky sour lovers you may have Royal Challenge in your glass and for Sangrias you would have ‘Madeira’ a lesser known brand of wine. Hoppipola sure have their costs to take care of, but I am sure they would be happy to shake you a sour with your favourite scotch, but at a price! 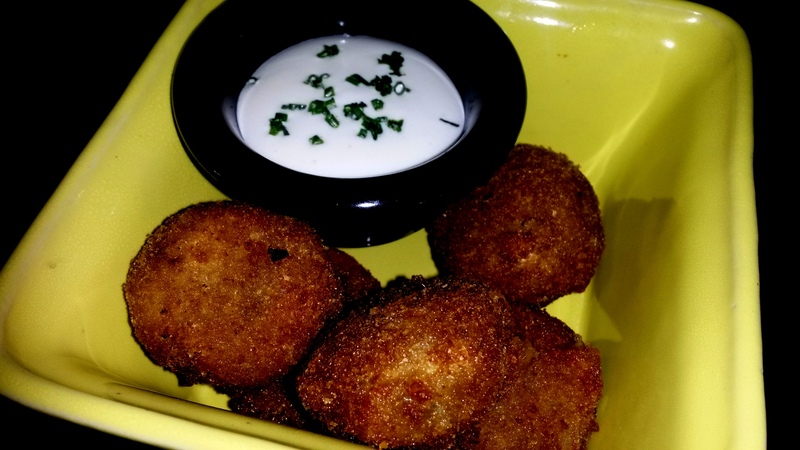 You hunger pangs can really flare up after a few drinks and to keep you satiated through the drinking experience is ‘chakna’ , bite size appetizers in local parlance! 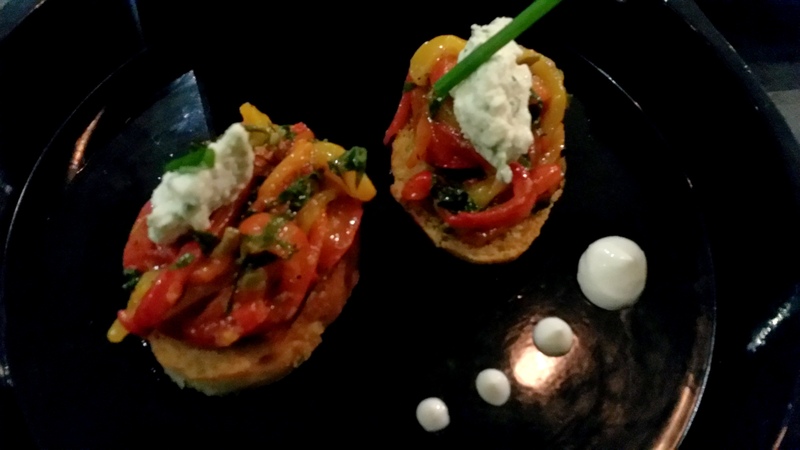 Hoppipola have really got their appetizers right in taste and in price too. They start as low as Rs 140. Grilled peppers and capers on toast , the Indian style masala peanuts with crisps, cheese stuffed crumbed mushrooms, Paneer in a tempura style batter served with wasabi mayo and lastly the smoky patatas bravas were all done up with great care, superb value for money. 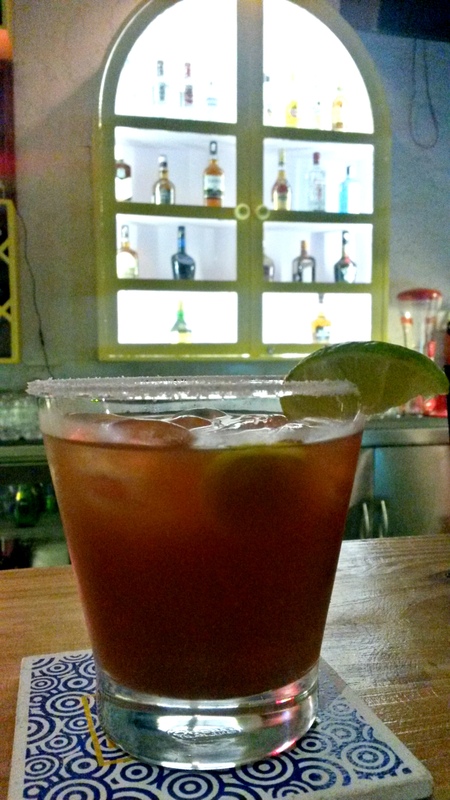 I ordered myself a Guava and Balsamic Mary, the spicy finish just kicked up my appetite. Considering their format they have a decent selection of mains to fill you up, pizzas, pastas, sandwiches, burgers, Mac n Cheese etc. 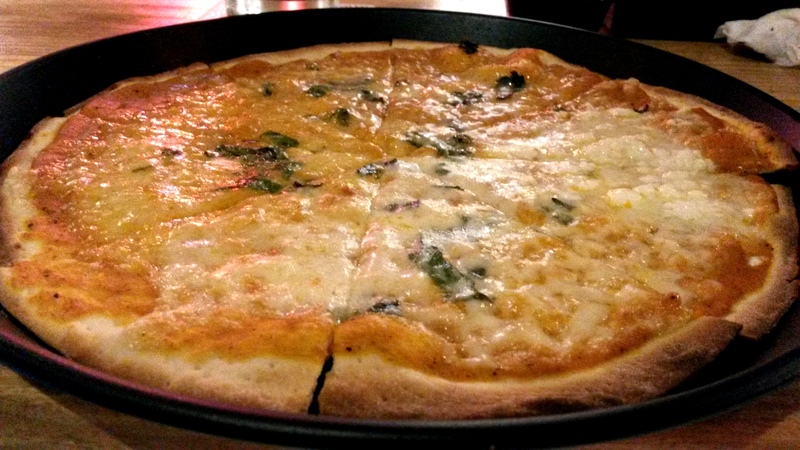 I ordered a four cheese pizza (feta, parmesan, cheddar and buffalo mozzarella), it came in a thin crust not loaded with cheese but it had a pronounced aroma of the Basil and the cheeses used. The Guava Mary complimented it well too. It is great place for an easy on the pocket night out with a chirpy ambience and comfort food with no-fuss cocktails. Meal for 2 with cocktails: Less than 2000 Rs … a must must try! P.S: Ladies, don’t forget to try your luck at the bird houses… high probability of winning some shots!